The ELMS Solution was one of 9 products to be featured within MRO-Network’s run down of software solutions that have been designed to allow MROs to improve the efficiency and effectiveness of their operations. 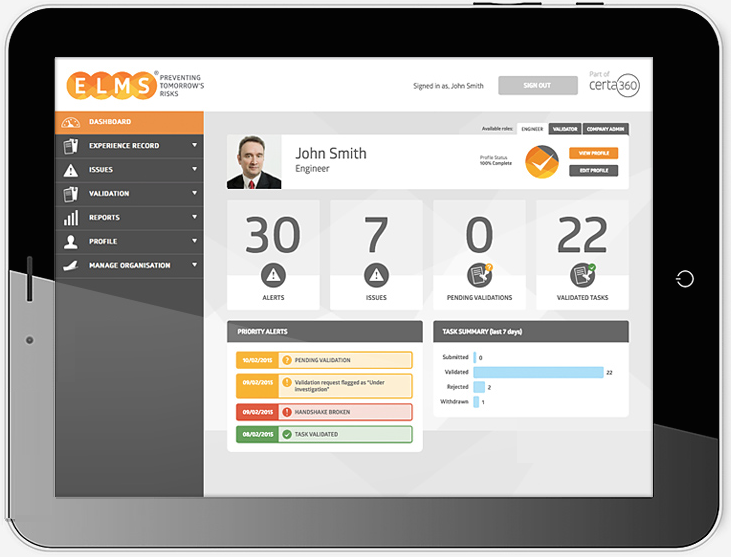 The ELMS system was recognised for it’s focus on Digital Competence Management. Other suppliers included, Pentagon 2000 SQL, Ramco Aviation Suite and Swiss-AS AMOS.